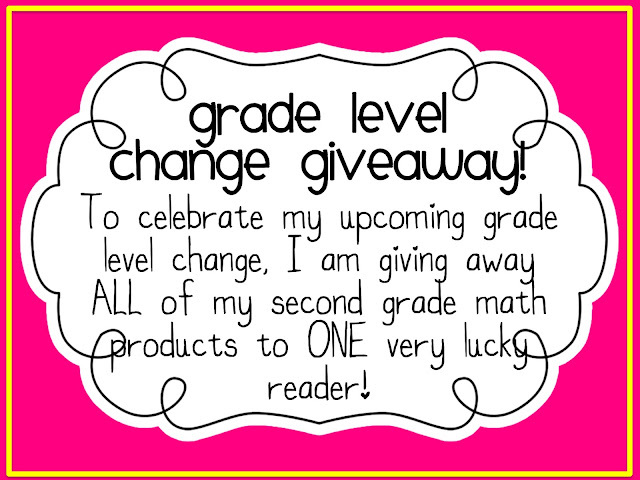 Fourth and Ten: Second Grade Math Giveaway! While I've enjoyed my year in second, I feel my heart/niche really is in the early intermediate grades, and so to celebrate that I'll be teaching fourth-sters next year, I'm having a giveaway! 4. Blog about or mention my giveaway on your own blog/Facebook page and leave a comment telling me that you did. I will be using a random number generator to pick a lucky winner at 10:00 pm EST on Wednesday, April 25th! I am a follower of your TpT store. I am a new follower of your blog! Congratulations on the move to 4th grade! I can't wait to read more about it! I am now following the Teachers Notebook Store! I tried to follow your blog by e mail but it said: The feed does not have subscriptions by email enabled. Help! I follow you on TPT!! I am a follower of your blog! 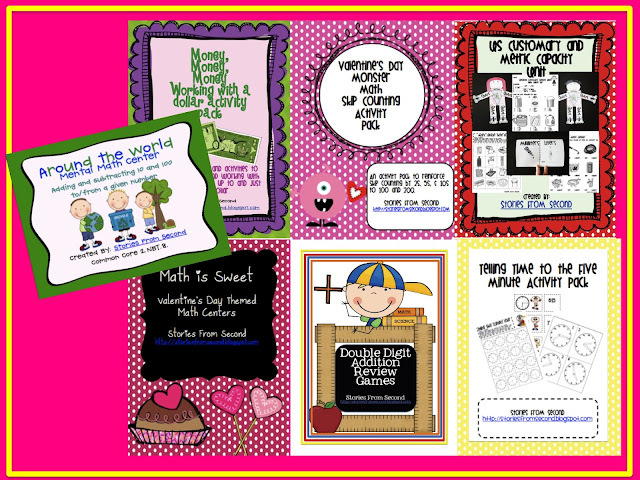 Great ideas, especially since this is my first year teaching second grade. I could really use the ideas! Thanks! Oh Boy 4th Grade (http://ohboy3rdgrade.blogspot.com/) is absolutely hilarious! Come and check out my Dr. Jean giveaway! Your Teachers Notebook shop is a favorite of mine. A fourth grade blog I enjoy is http://ohboy3rdgrade.blogspot.com by Farley. She has some great ideas! Good luck in 4th grade. You'll be awesome! Your TN store is a favorite! I follow your blog in reader. Thanks so much for commenting on my latest post! I found your blog two weeks ago and haven't had time to go through your backlog of posts yet, so I missed this one. I'm so excited to hear that we're in the same boat! I'll be watching your blog closely for ideas!